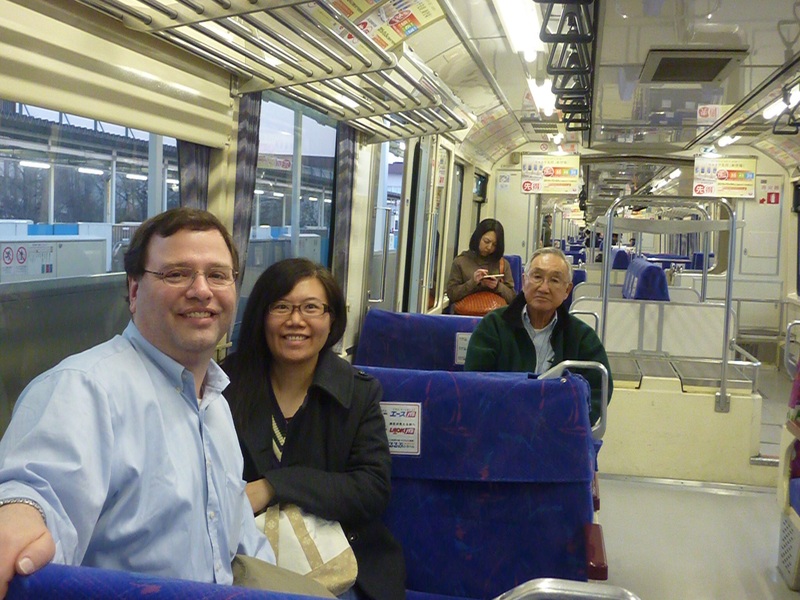 Feb 4/5: We left Honolulu for Nagoya and transfer to Hokkaido by Japan Airlines. It was a very long flight transiting in Nagoya but both flights were smooth and comfortable. 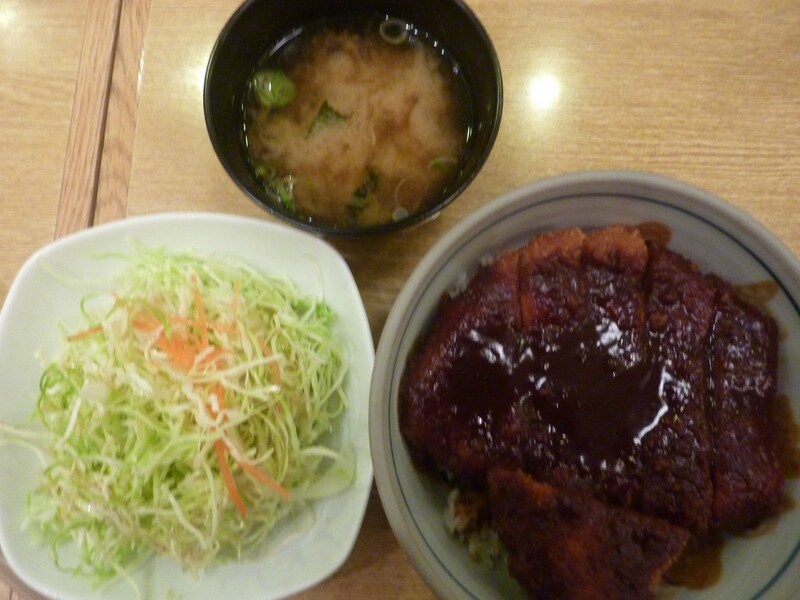 Some of us tried Nagoya’s specialty food, Misokatsu (pork cutlet) while we were waiting for the flight to Chitose, Hokkaido. The first night hotel was the Air Terminal Hotel which was located within the terminal, so it was very convenient. After checking into a hotel, some people still had the energy to explore the airport shopping areas and restaurants. Our hotel package didn’t have a free access to the Chitose Onsen (hot spring) on the 4th floor of the terminal, but it was a great arrangement to have the hot spring in a short walking distance from the hotel. It costed about $15 (admission fee) but it was worth it. 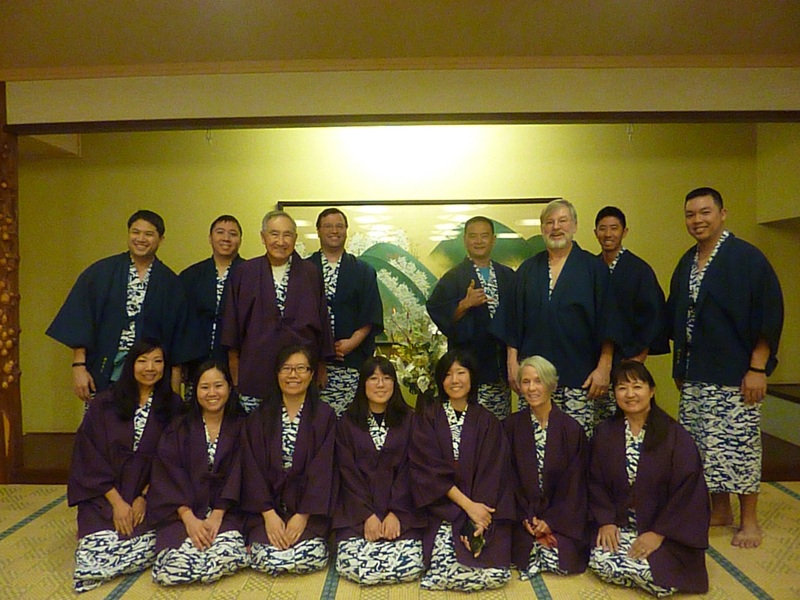 Onsen makes you feel relaxed from the long exhausting flights. 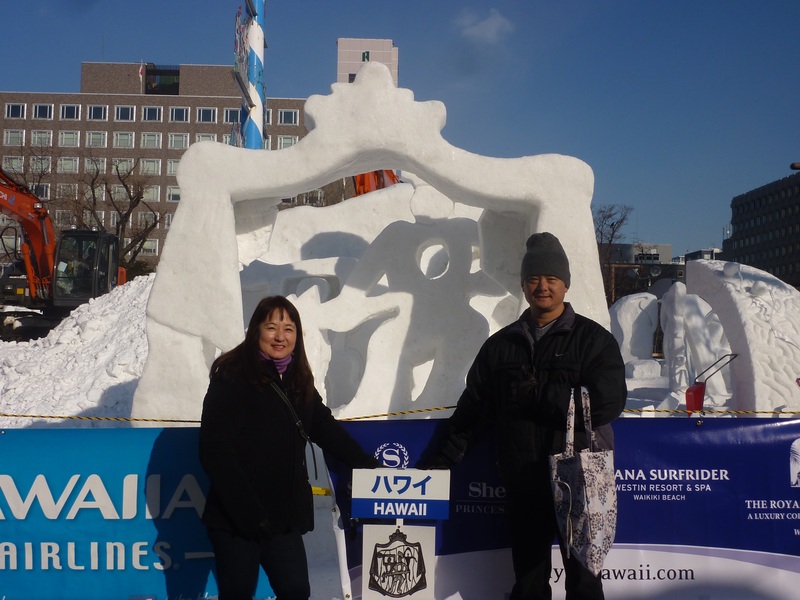 Feb 6: The people from the mainland USA joined the Hawaii group this morning and all of us were excited to experience the winter in Hokkaido guided by Ms. Tomoko Wahei. We were very lucky with the weather, clear blue sky without winds! It was very cold in the morning but it got warmer as the sun came out. 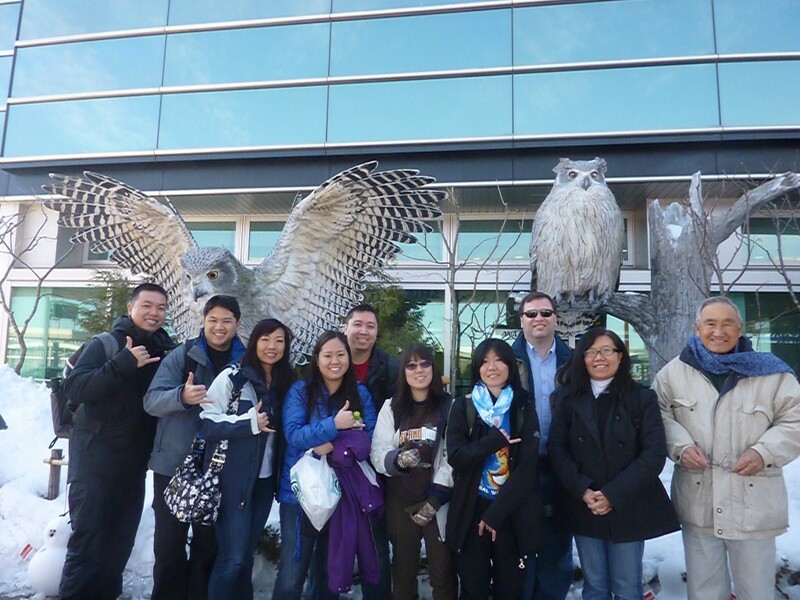 It was the first time for some, particularly from Hawaii, to see and touch snow so they were like little kids enjoying the snow experiences. 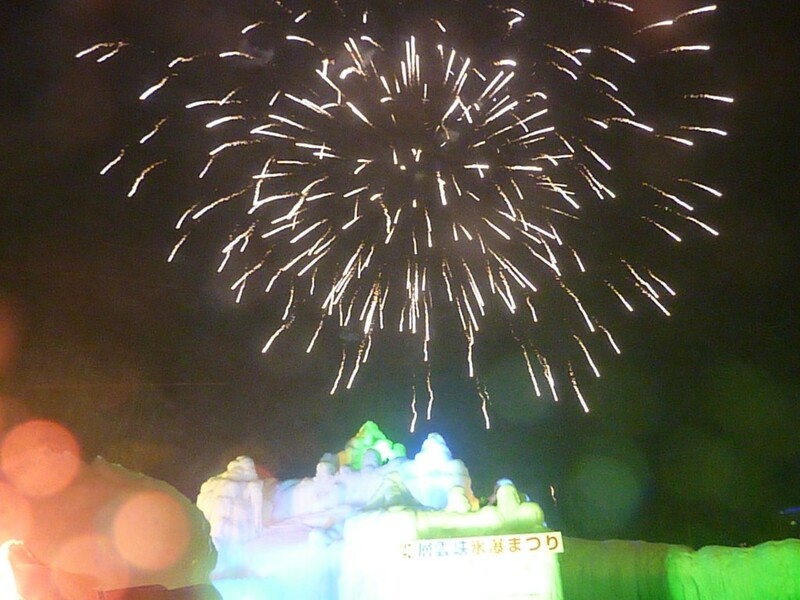 Today’s highlights were to visit the Chitose Shikotsuko Hyoto Matsuri and the Shiraoi Ainu Village during the day and the Sapporo Snow Festival at night. 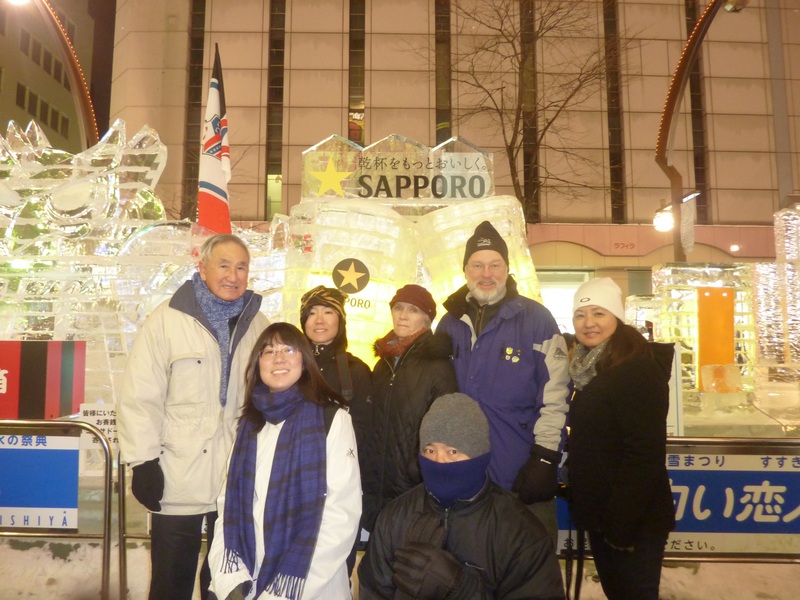 The ice and snow sculptures at the Snow Festival (both Odori Park and Susukino) were beautifully illuminated so we felt like as if we were in the winter wonderland! We tried to maximize the time we had in Sapporo so most of us stayed up until very late at night. 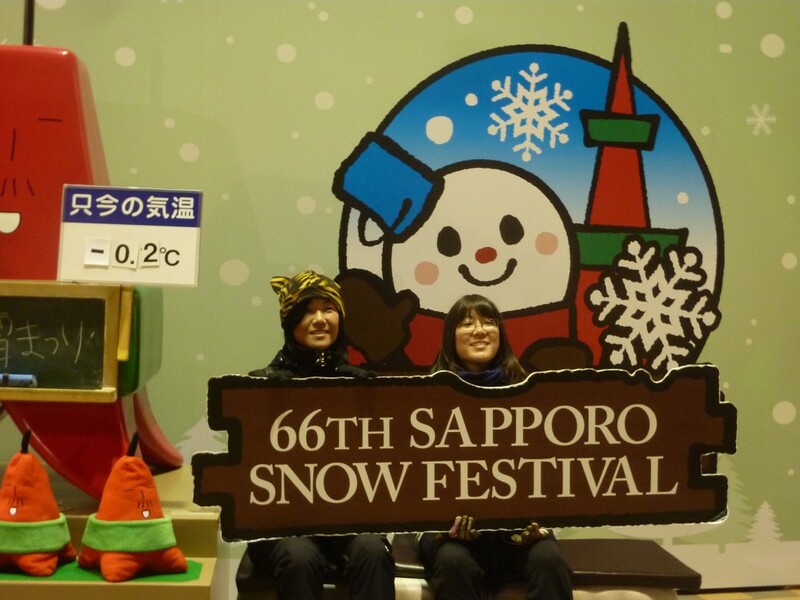 Feb 7: It was a free day to explore Sapporo city on your own. A majority of people except one couple decided to do their own sightseeing. 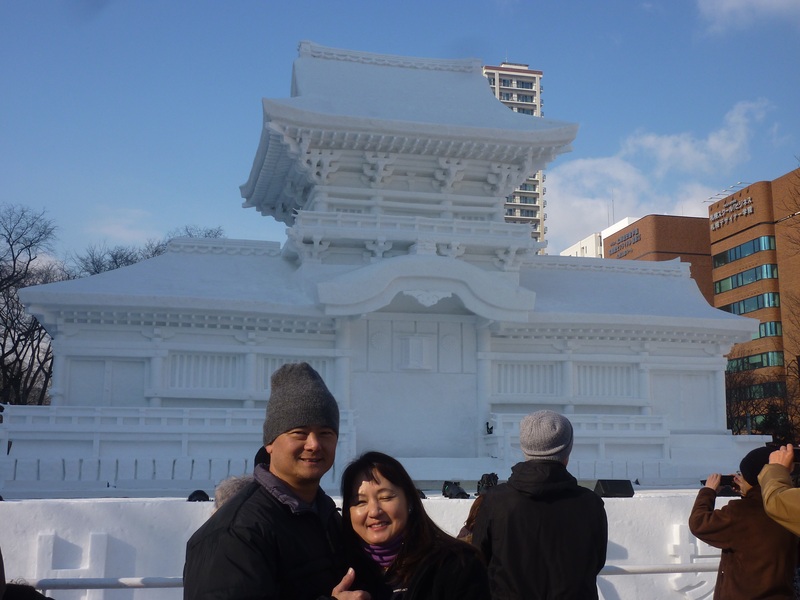 We visited Donquijote, Mitsukoshi Dept, and Tanukikoji arcade looking for souvenirs besides marveling at the snow sculptures in Odori Park. 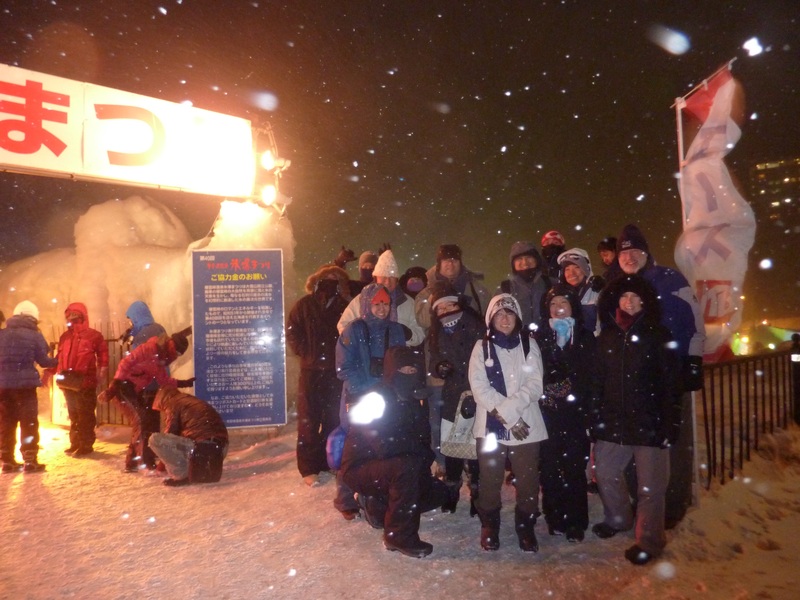 In the late afternoon, all of us except one couple went to Otaru city to see the Snow Light Path Festival and came back individually. 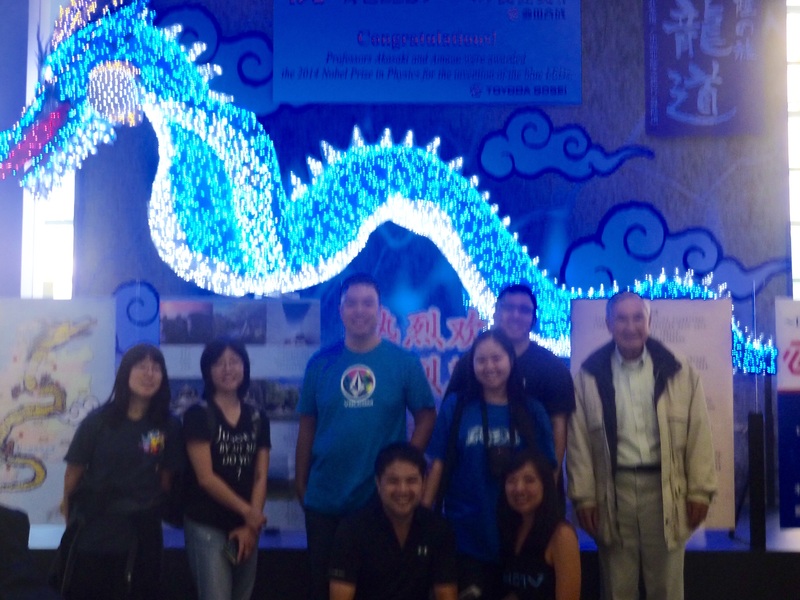 During the festival, the canal and the Temiyasen areas were lit up with lights, candles, and lanterns from 5 to 9 pm. Feb 8: We were off to Sounkyo from Sapporo by a chartered bus. 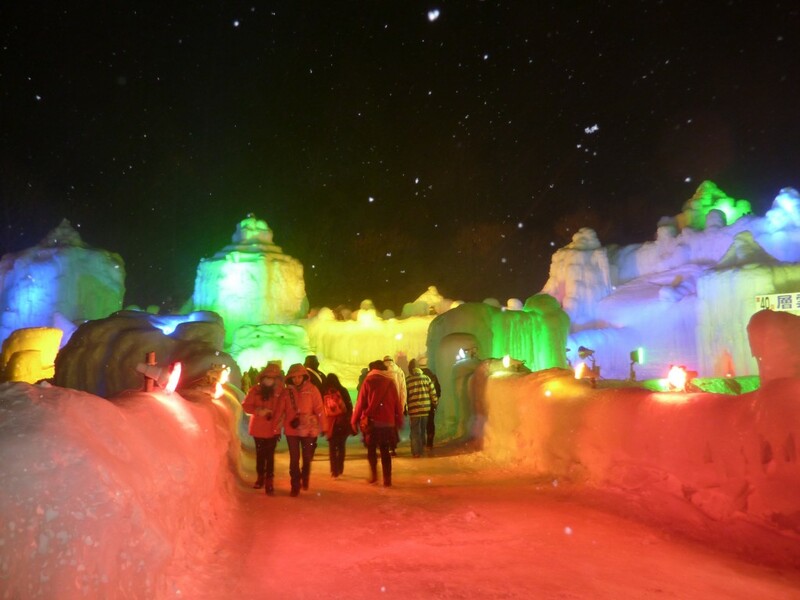 Sounkyo is well known as a hot spring resort town surrounded by scenic, narrow gorges. It was another nice and warm day. 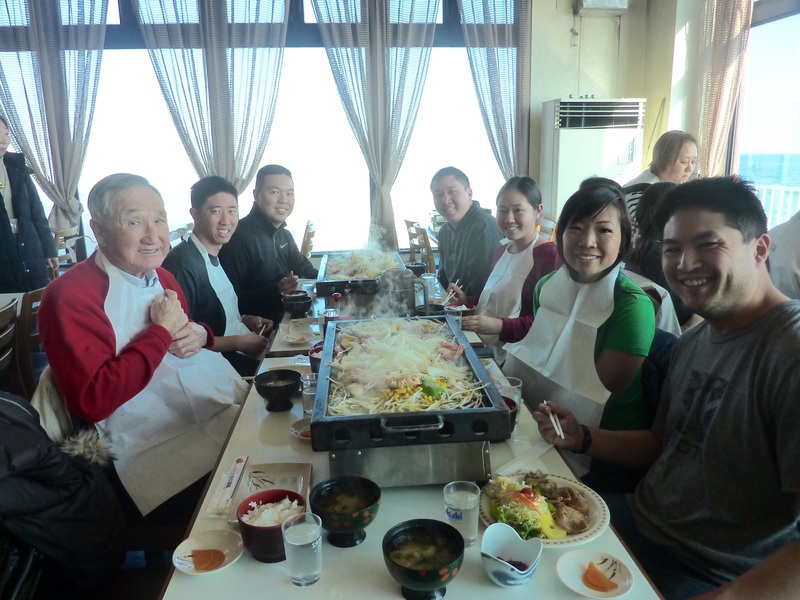 On the way, we stopped at Asahikawa Ramen Village for lunch and Takasago Sake Brewery to see how traditional Japanese sakes were produced. We also had a time to shop at UNIQLO near the Ramen Village. Of course we enjoyed the free sample of sake at the Takasago Brewery. Since we were ahead of the schedule, we visited Ginga Ryusei waterfall before we checked into the hotel. One of the waterfall was completely frozen! 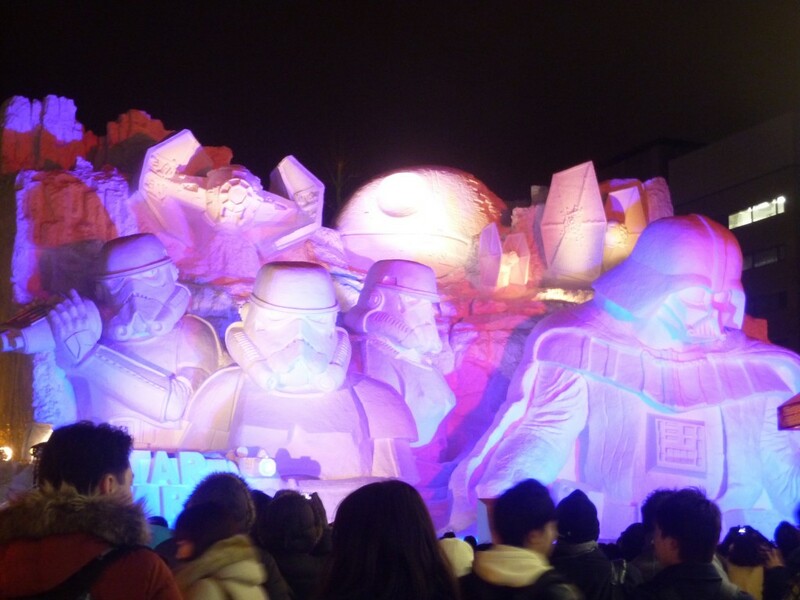 After having dinner at the hotel, we visited the ice festival site by the hotel shuttle bus. Again, the festival site was illuminated with lights. It was wonderful to see but it was very …. cold!! The snow started falling so people were very excited. We could see the fireworks too. JTB was distributing free sake so some of us had a big cup of sake to keep us warm. 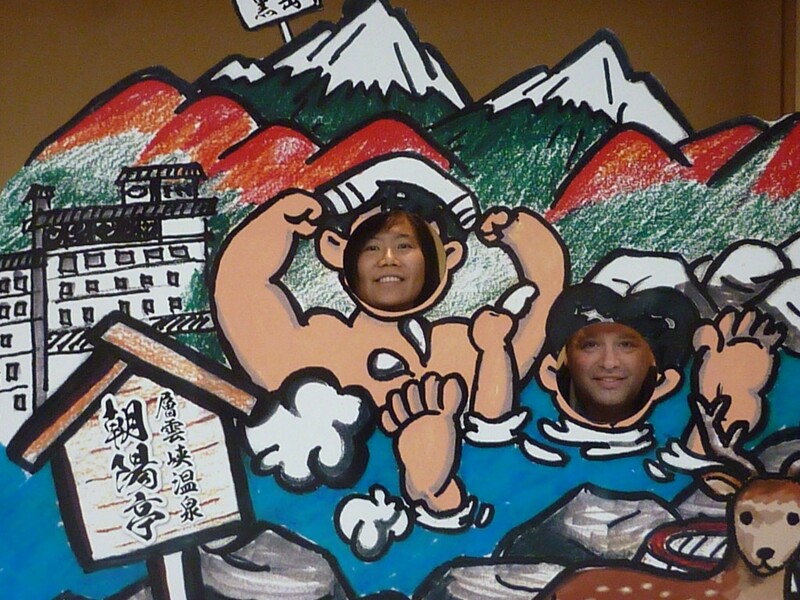 Onsen felt so… good afterwards. 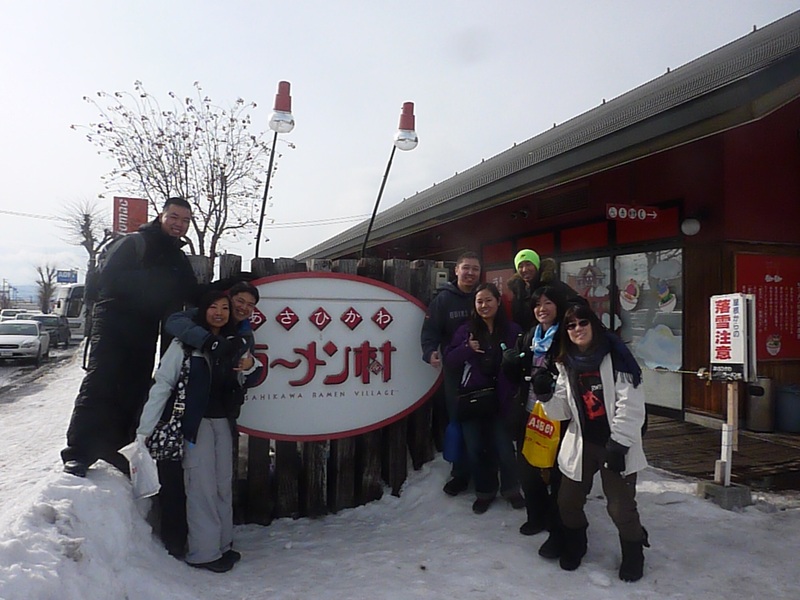 Feb 9: After breakfast, we headed for Abashiri. 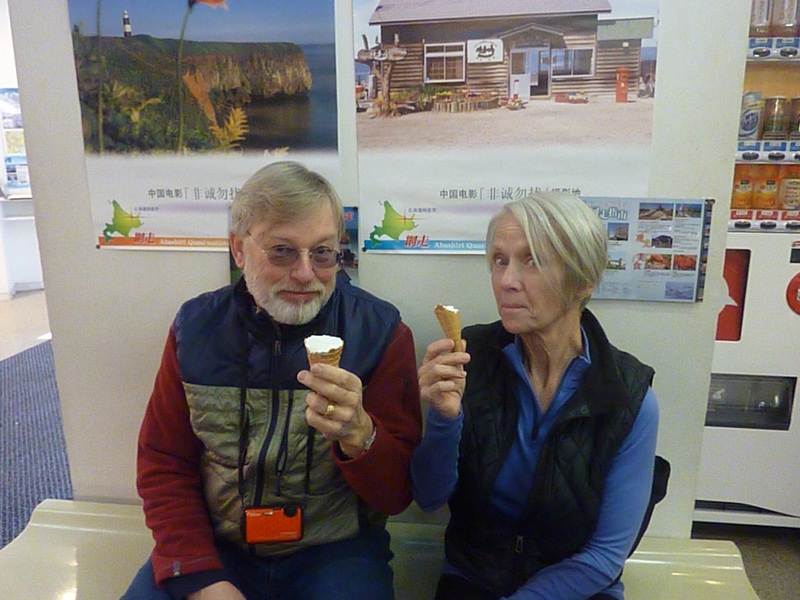 Everyone seemed to love eating ice cream so they were trying out different “Made in Hokkaido” ice cream every time we had rest stop. 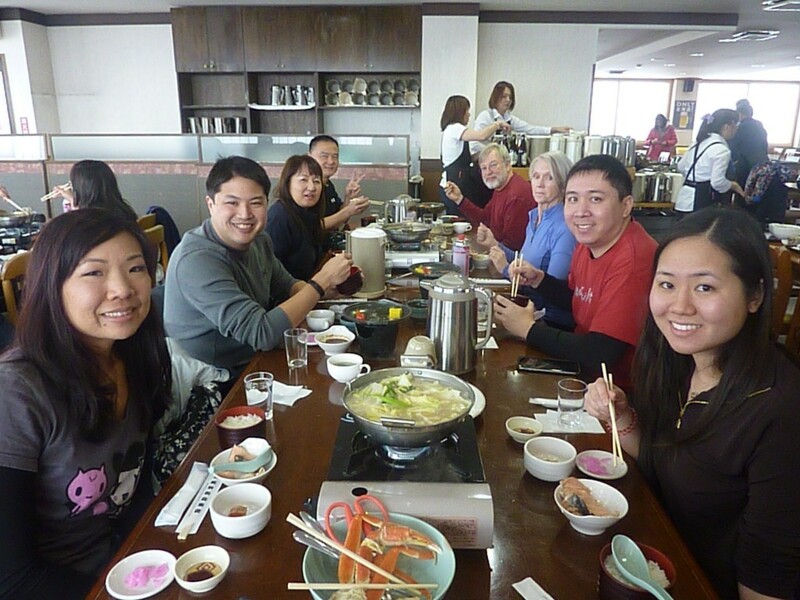 On the way, we stopped for lunch at Abashiri Bazaar and we ate Ishikari seafood hotpot for lunch. It was yummy! 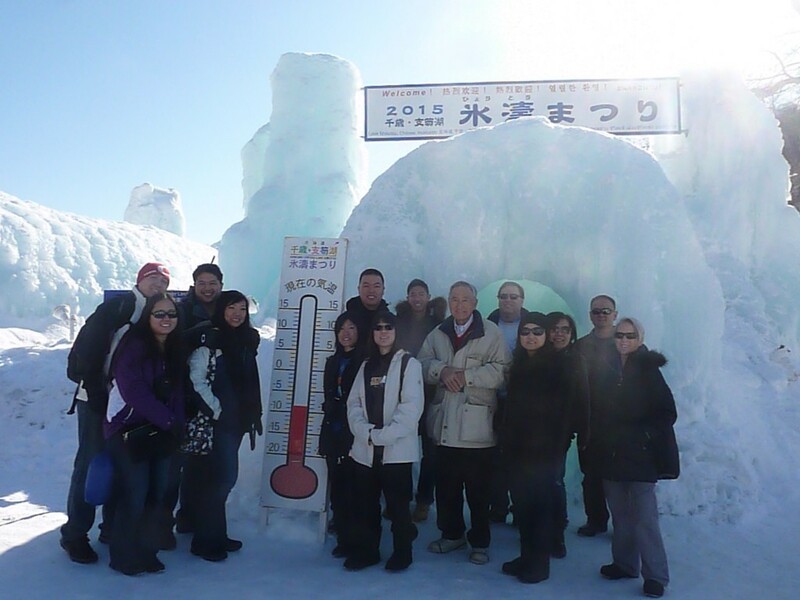 We visited Okhotsuk drift ice museum to learn about drift ice and then onto the Drift Ice Festival in Abashiri. Many of them had drift ice ice cream. The color was blue and tasted good. We were lucky with weather again. 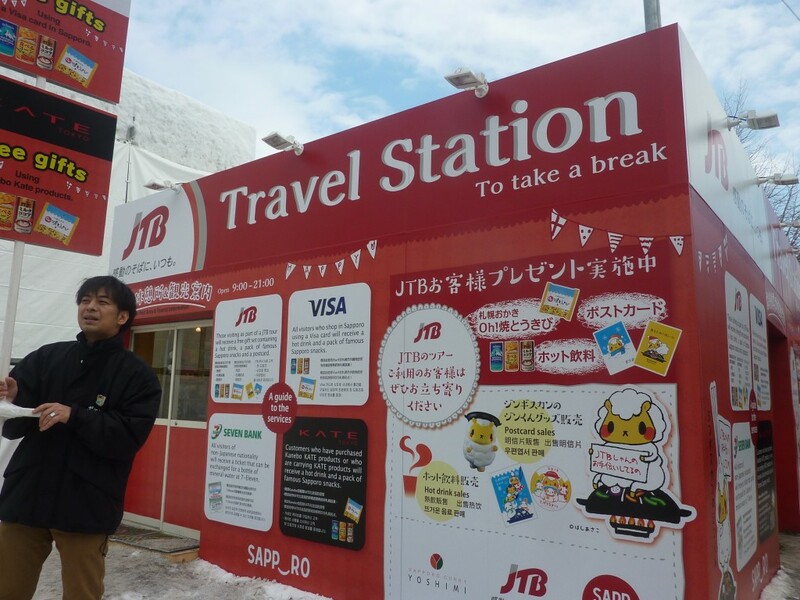 According to the news, the trains and buses were suspended due to blizzard in Japan Sea side of Hokkaido including Otaru and Sapporo areas. 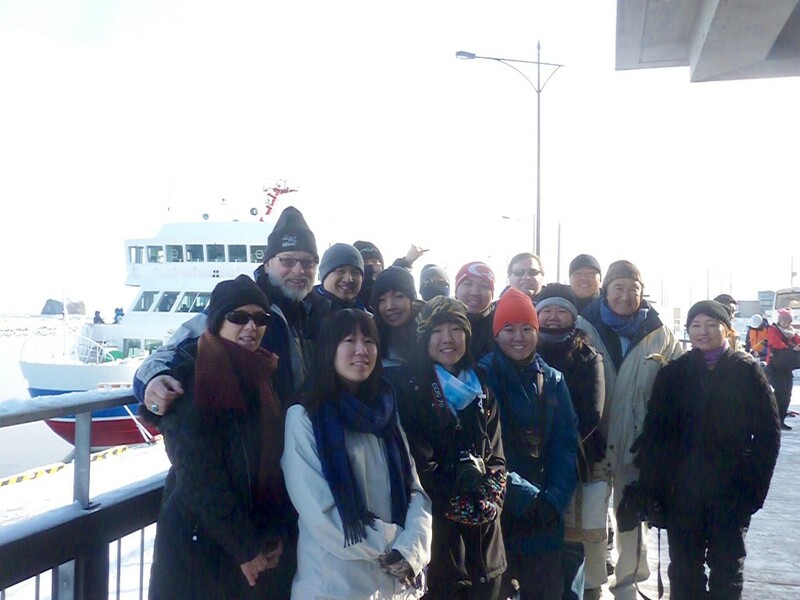 By the time we arrived in Abashiri, the sun came out so we could see a beautiful view of Shiretoko mountain range, drift ice, Lake Abashiri, and the surrounding area from the observation deck of the museum. Later on, we could leisurely walk around the drift ice festival site. 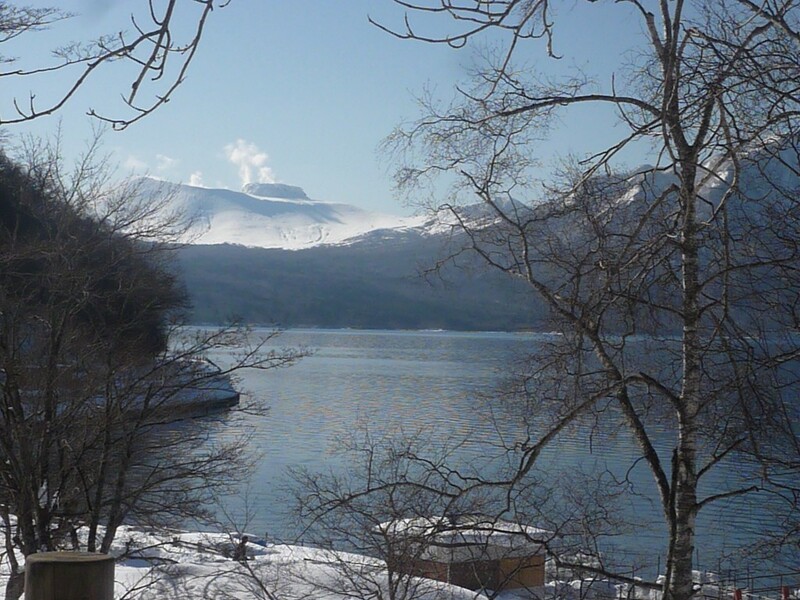 The hotel we stayed was next to the Lake Abashiri and it was very nice. The lake was all frozen! In Abashiri, they sell drift ice beer and the color of the beer is blue. Some people tried out and said it was OK. Another wonderful hot spring experience! 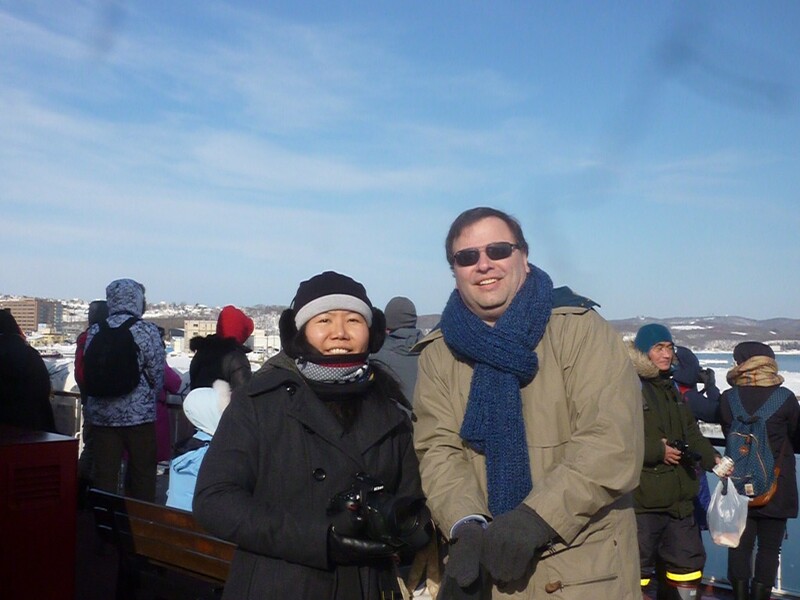 Feb 10: Today’s highlight was to ride on “Aurora”, ice breaker boat. The drift ice originates from the Amur River in Russia then drifts through the Sea of Okhotsuk to reach western coast of Hokkaido. We were very lucky again with beautiful weather with hardly any winds! In the morning, the temperature was about -14 C but later it went up to -3C. We felt really cold. 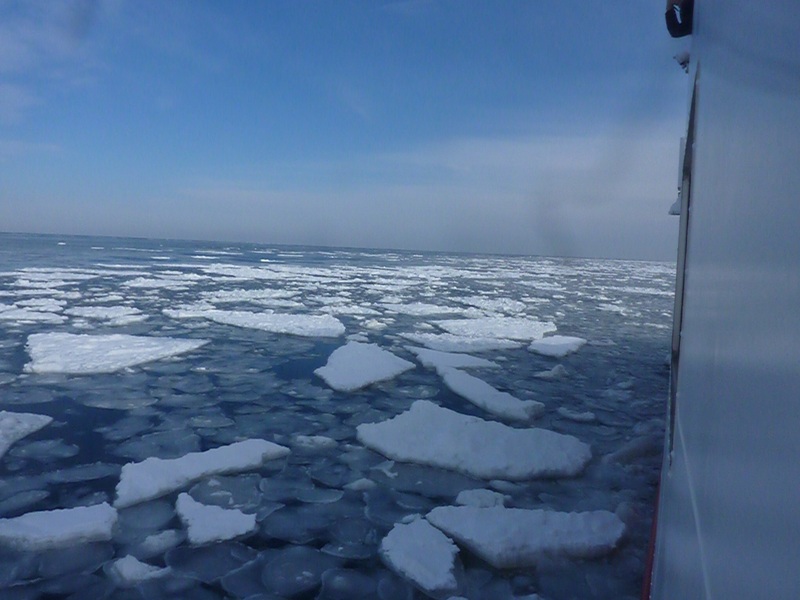 Although there were not many drift ice, it was an awesome experience you never want to miss!! 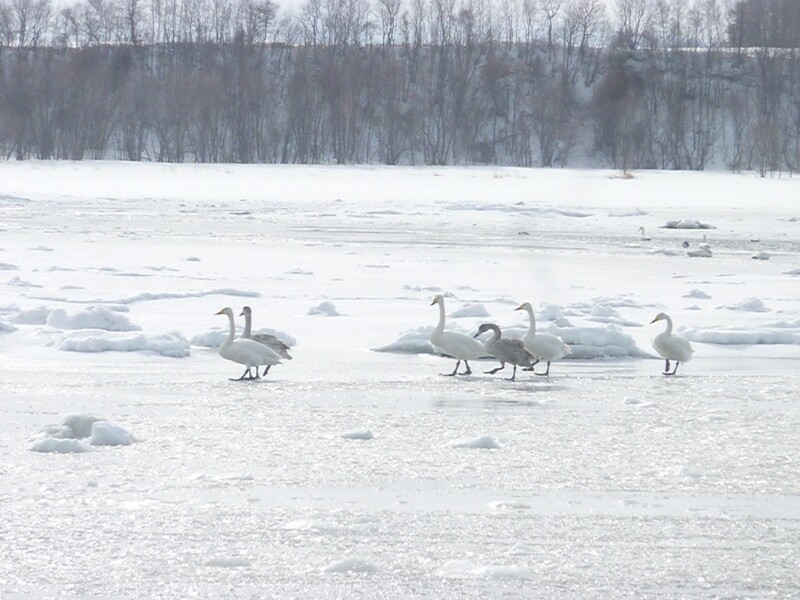 We also saw some swans in Lake Tofutsu. 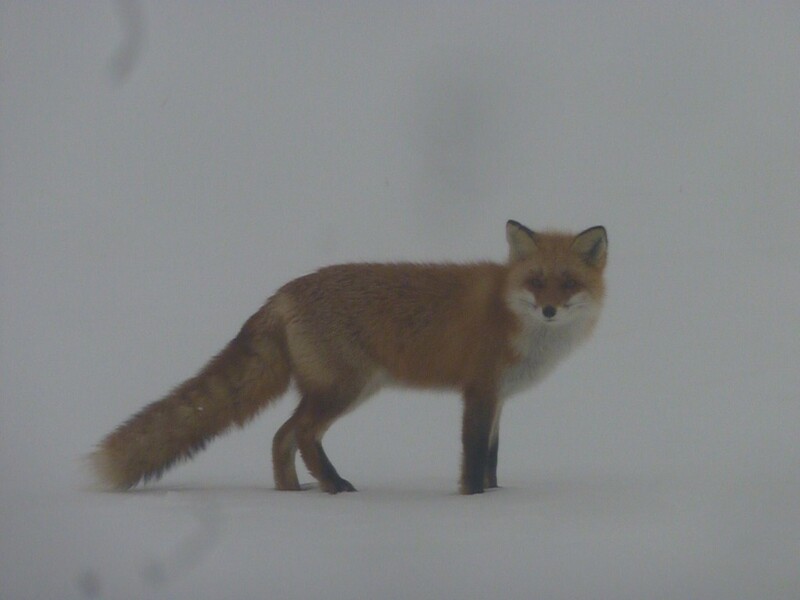 Some of them were walking on the frozen lake and they were very cute. 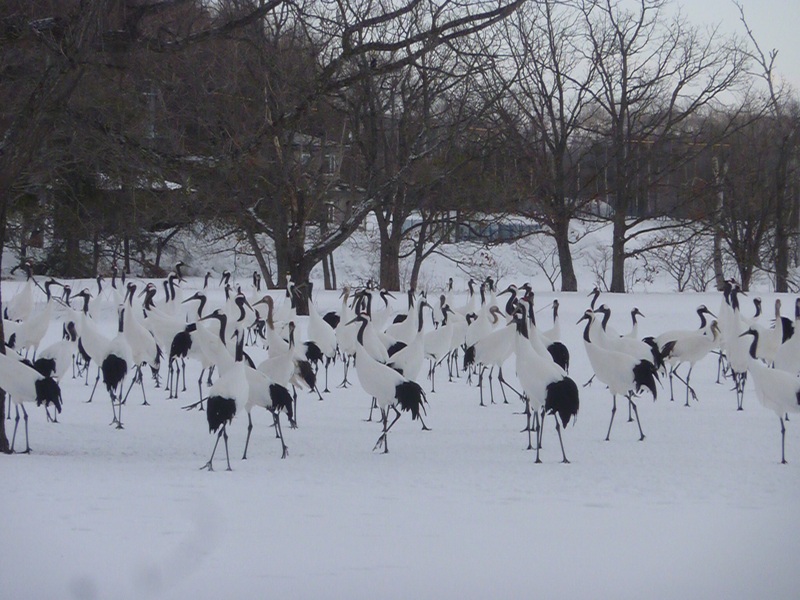 We also saw many Japanese red crowned cranes and a red fox on the way to Kushiro. The scenery around Lake Kussharo on the way to Kushiro was amazingly beautiful. 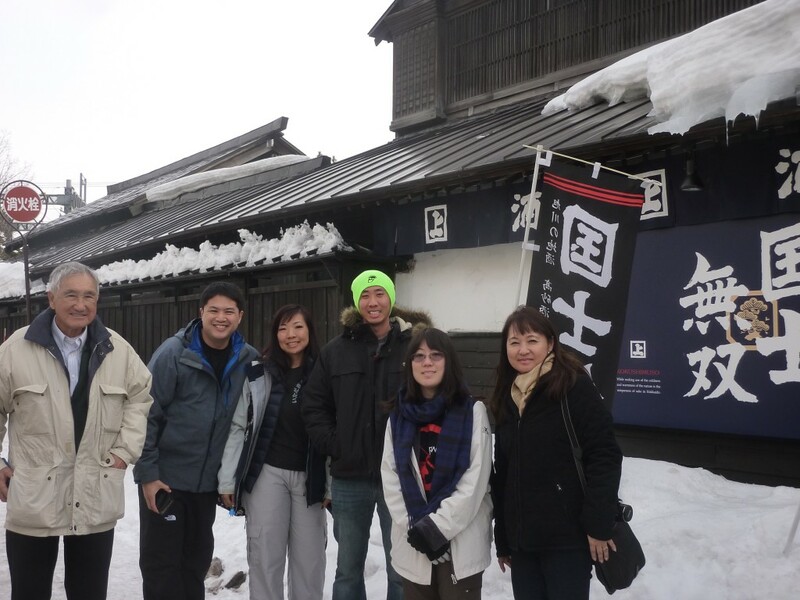 Feb 11: Today was the last day of our Hokkaido tour. 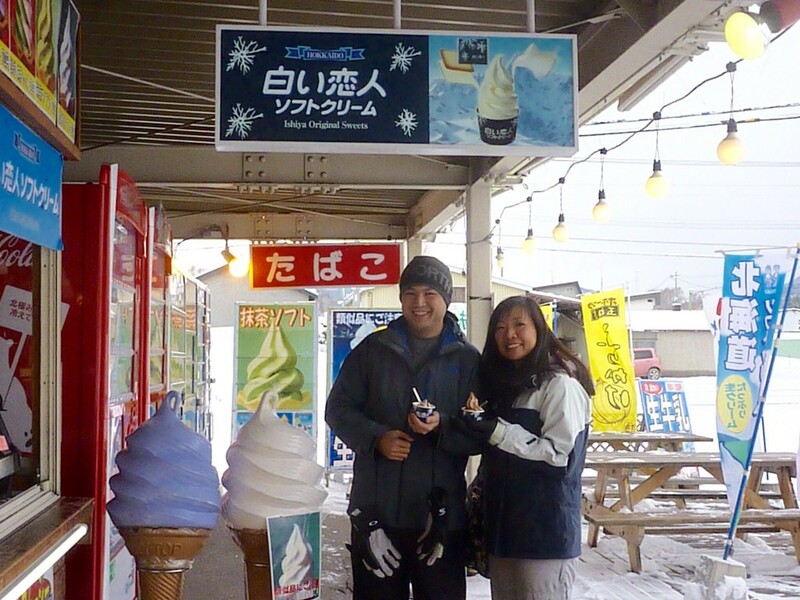 Unfortunately, we had to say goodbye to a snowy Hokkaido where there were many wonderful winter attractions and activities that we could not have experienced in Hawaii. 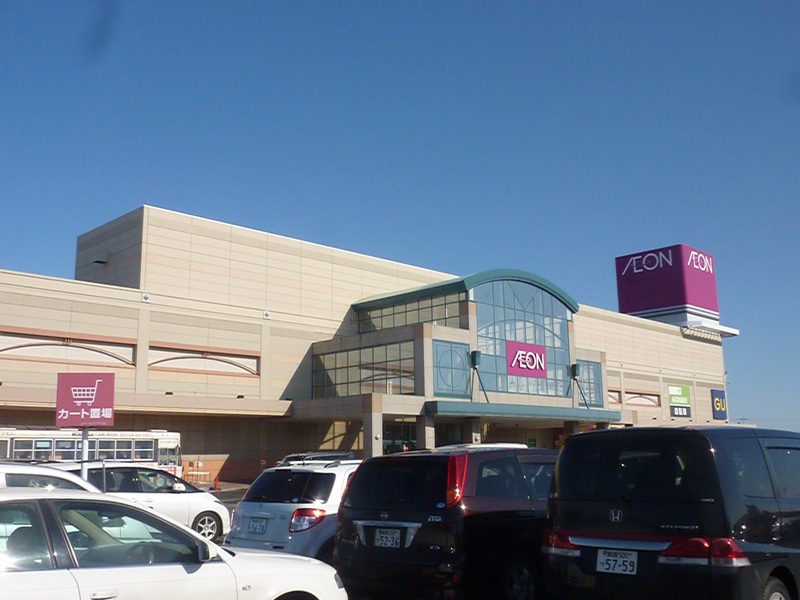 Five people left for their own destinations by themselves in the early morning and the rest of us went to Aeon Mall for lunch and last shopping on the way to Tancho Kushiro Airport. There was a slight delay of the flight to Haneda but we arrived on time. After arriving in Haneda Airport, most of the group members went to downtown Tokyo to stay few more days on their own. Four of us used a monorail and went to the World Trade Center in Hamamatsucho to see the night view of Tokyo Including Tokyo Tower and had dinner there. Two of us took a late night flight back to Honolulu and the other couple headed back to SF. 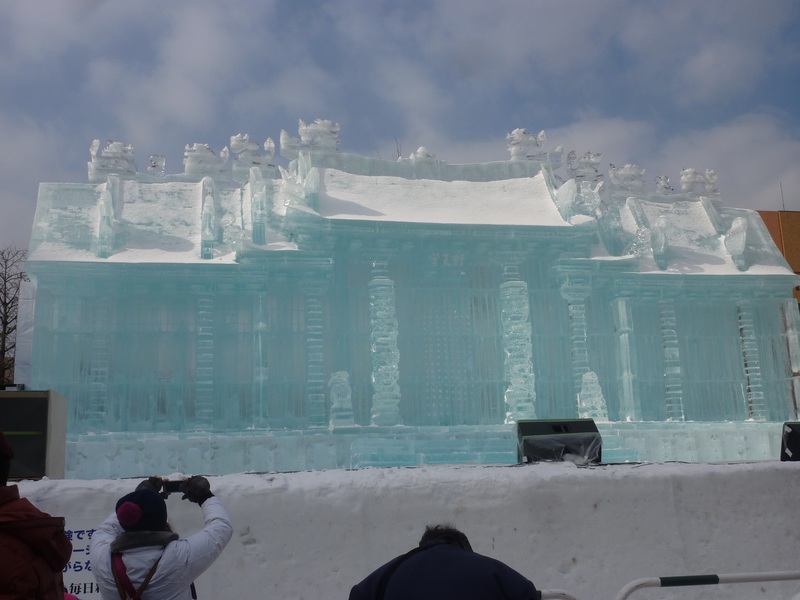 Hokkaido offers 4 distinctly different seasonal experiences: cherry blossom in spring, lavender flowers in summer, fall color and Marimo festival in autumn and the snow and ice festivals in winter. 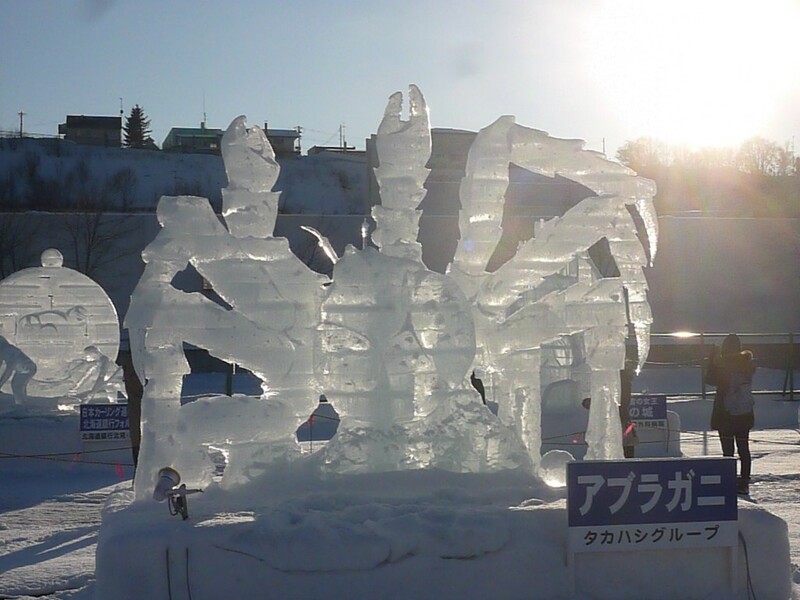 It would be nice to experience 4 different seasons in Hokkaido. The nature in Hokkaido is also very beautiful. If you are seafood lovers, this is the place to visit in any season!